Double Glazing Lancaster offer made to measure Patio and Bi-folding Doors bespoke to your your requirements..
Lancaster Double Glazing’s Bi-Fold Doors can feature a special safety system to keep the whole family safe. Features include finger safe gaskets to prevent trapping, special threshold designs for easy disabled access and strong magnets to hold the doors in place to prevent them from slamming. If you require Aluminium Bi-Fold Doors in Lancaster Give us a call. Aluminium Bi-Fold Doors around the Lancaster, Morecambe, Carnforth area of Lancashire, Cumbria and beyond. 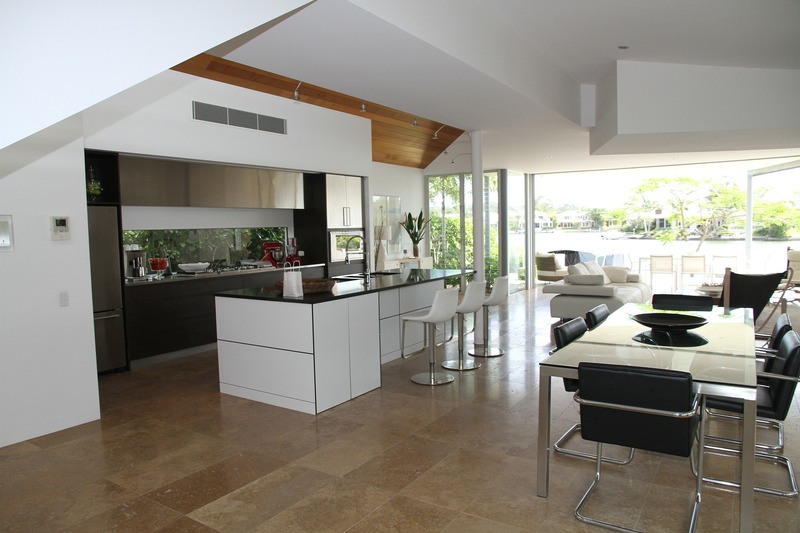 With vision and careful planning, we can create you a new living space which can seamlessly join your outdoor and indoor living areas to make the most of the space and your view. 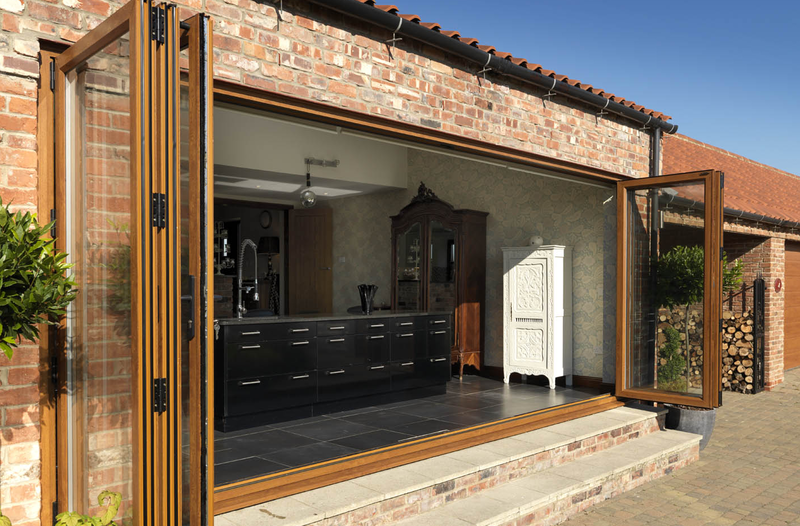 This smooth transition is courtesy of the unique free-glide roller system which makes sliding the Aluminium Bi-Fold Doors open and closed effortless. The bespoke nature of Lancaster Double Glazing’s product means that you have total freedom to have your Doors, Windows and Blinds tailored to your exact requirements, ensuring they complement your home perfectly. The strength of aluminium means that your Aluminium Bi-fold Doors or Windows can be manufactured with very narrow frames to give you the ultimate view. All our frames are finished with an extremely durable powder coating which won’t scratch or fade over time. Lancaster Double Glazing’s Bi-Fold Doors can feature a special safety system to keep the whole family safe. Features include finger safe gaskets to prevent trapping, special threshold designs for easy disabled access and strong magnets to hold the doors in place to prevent them from slamming. Lancaster Double Glazing Bifolding Doors have years of experience in the design and installation of Aluminium Bi-folding doors and windows. We use only the finest quality systems that have a proven track record in looks, efficiency and durability. We are a small, independent firm, and we supply both standard sizes, and custom made aluminium bi-folding doors and windows to the general public of Lancaster and surrounding areas, Aluminium sliding doors and bespoke Aluminium shop fronts direct to the homeowner and trade. We also offer subcontractor services to companies looking for a professional and reliable bifolding door and shopfront supply and installation partner. We do not employ any commission-based salespersons or middlemen, and this enables us to be very competitive on price. We offer standard off-the-shelf sizes with next-day delivery and made-to-measure systems in an array of opening styles and colours. We supply both trade customers and the general public and can offer a supply only or full installation package.